Jefferson Fire Chief Walter Morse said damage was mitigated by a combination of helpful mutual aid and comprehensive training. 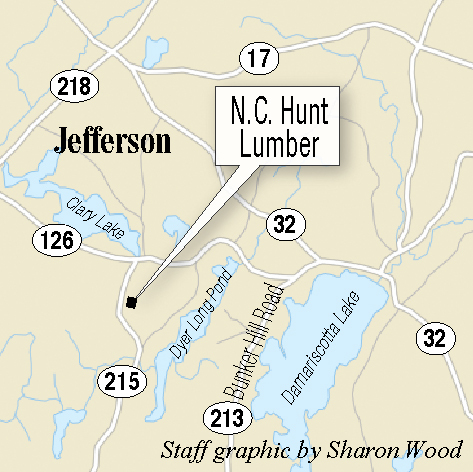 JEFFERSON — A fire that destroyed a sawmill at N.C. Hunt Lumber in Jefferson Friday was accidentally caused by sparks from torches, public safety officials said Sunday. Department of Public Safety spokesman Steve McCausland said the fire was reported by a neighbor just before midnight. He said sparks from a torch used while making repairs to machinery inside the sawmill were responsible for the blaze. “Lumber yard workers had completed repairs to machinery inside the building Friday afternoon using torches and apparently a spark from those repairs started the fire hours later,” McCausland wrote. Jefferson Fire Chief Walter Morse said the torches were used for metal work inside the sawmill. N.C. Hunt retail manager Dave Smith said “there must have been 50 firefighters” at the scene of the blaze. He said sawmill was a “total loss,” but lumber and other equipment set nearby was saved from the damaged area by crews. Jefferson Fire Chief Walter Morse said crews from 10 other departments — Alna, Chelsea, Damariscotta, Newcastle, Nobleboro, Pittston, Somerville, Waldoboro, Windsor and Whitefield — responded to the blaze. “They were a tremendous, tremendous help,” he said, citing a combination of 10 tanker trucks making 100 trips for water during the fire. “The efforts of our first responders and our mutual aid departments (were) outstanding. Morse said the first firefighter was on the scene within five minutes and time was a factor in containing the blaze. He said local crews did a walk-through of the N.C. Hunt complex last year, so they were aware of hazardous areas. Combined with tanker relay training from two years ago, Morse said the containment of this fire showed how well-trained his department was for events like this. The fire will affect about 40 employees, Smith said, with some being laid off until the sawmill is rebuilt — but some of the employees may be put back to work during the rebuild. 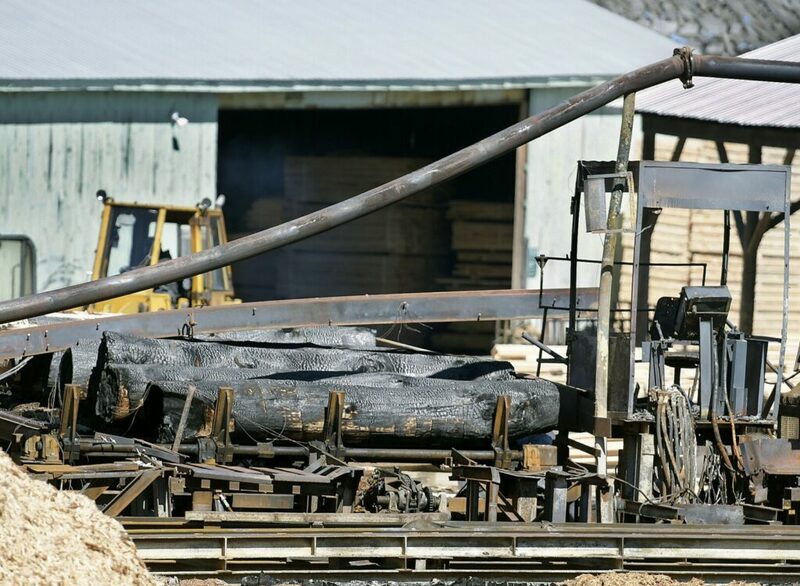 Business is running as usual at the business’s stores in Jefferson and Damariscotta, Smith said, and the company should have enough sawmill product to sustain business until the mill is rebuilt. N.C. Hunt Lumber is owned owned by Normal Clark Hunt, but has been operated by five generations of the Hunt family.